Certified and licensed as a Wisconsin Home Inspector and Certified Master Inspector, Bob Beisbier, President of BK Home Inspections, offers more than 30 years of building, remodeling, and home inspection experience and expertise. Bob is an active member of the American Society of Home Inspectors (ASHI), the International Association of Certified Home Inspectors (InterNachi), the Wisconsin Associations of Home Inspectors (WAHI), the Better Business Bureau BBB, BNI Circle of Success, and Mukwonago Chamber of Commerce. Bob is married with two children and lives in Mukwonago, Wisconsin. The purchase of a home is a big investment for anyone. Be sure to have a thorough home inspection to protect that investment. Your satisfaction is guaranteed with a BK Home Inspection. Master Certified Inspector Bob inspects residential, commercial, manufactured, and multiplex homes throughout Southeastern Wisconsin and he is State Certified and Fully Insured. Following a BK Home Inspection a complete computer-generated report with a summary page and digital photos are provided to the individual ordering the inspection—all before I leave the premises. Call me today to schedule your Home Inspection. 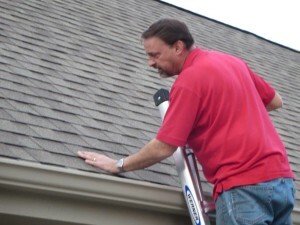 Check out this video about our Home Inspections services in Southeast Wisconsin. It’s easy to get a hold of me! Click the button below to enter your phone and email and I will call you. Or, text me at 262-993-7755 and include your city and square footage and I will contact you with a quote. Once each month I send out a newsletter "Timely Tips for Homeowners." In it you'll learn great information about home maintenance, seasonal tips, and even a little bit of fun. Click below to add your email to my list. Copyright © 2019 BK Home Inspections, LLC. All rights reserved.